Contemporary Painting, collector's art, "Crossfire Hurricane", 24x36 oil on linen canvas by Deborah Chapin. 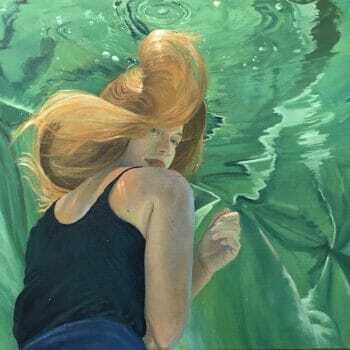 "Crossfire Hurricane", a contemporary painting, is part of my Book of Water Project. It expresses the calm cent er of the hurricane. The woman in the center of a whirling dervish of concerns, and events all around her. 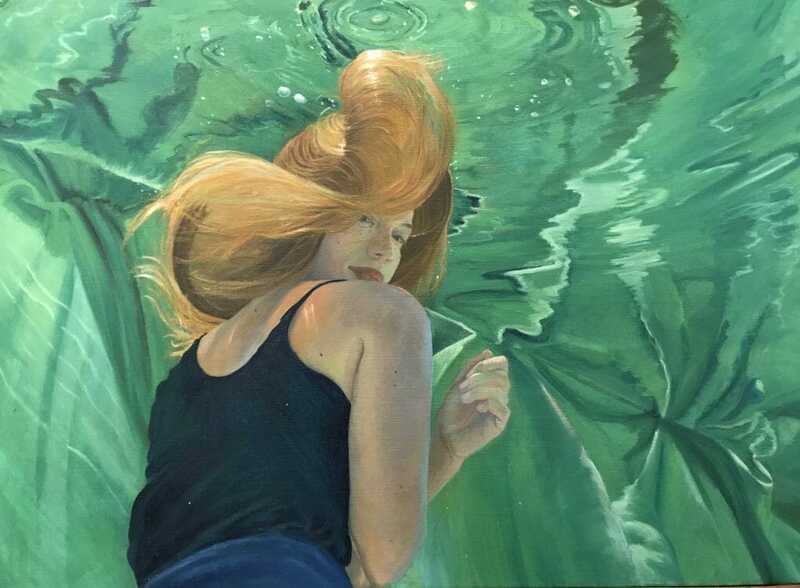 About the Process: This is part of the Water Portraits of Women. This piece took several turns in the evolution. You can see more in my blog about the process.